Shonen Knife’s first actual album release was the self-issued Minna Tanoshiku (‘Everybody Happy’) which was released on cassette. Only 50 copies were issued by the band themselves, although a small number of reissues were released via Zero Records soon after. Much of the material on this album would later be reworked for later Shonen Knife albums, but it also features songs that have never been reissued, such as ‘Saboten’ (actually a cover version of Delta 5’s ‘You’) and ‘Planet X’ (featuring vocals by Michie Nakatani). 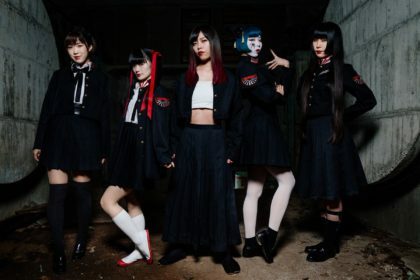 Although there’s hints of the trademark Shonen Knife sound to come here, there’s a much more laid-back feel to the material. Shonen Knife’s debut album proper. The Japanese release was issued on 8” vinyl and featured 8 tracks. ‘Miracles’ provides a perfect opening track and future classic ‘Twist Barbie’ is also included here. Subsequent reissues featured additional tracks including a cover of The Ramones’ ‘I Wanna Be Sedated’. A cassette version of the album was issued in the US with a different cover and a different track listing. The cover art was painted by Michie. Burning Farm received a cassette release in the US in 1985 (with a revised track listing) which helped bring them to a wider audience, notably the likes of Kurt Cobain who would later list Burning Farm as one of his Top 50 albums. Featuring some of Shonen Knife’s early classics, such as ‘Flying Jelly Attack’ and ‘Cycling Is Fun’. Again, released on 8” vinyl in Japan and again featuring additional tracks on subsequent reissues, including a cover version of The Rezillos’ ‘Flying Saucer Attack’. The album takes its title from Atsuko’s nickname and is also a play on words (‘Att-chan of the Mountain’). Another album to feature classic Knife tunes, such as ‘I Wanna Eat Chocobars’ and ‘Riding On The Rocket’. This album had been reissued in various formats with a variety of additional tracks, including live cuts. The album that served as a larger introduction to an American audience who would have seen Shonen Knife supporting Nirvana that year. Probably Shonen Knife’s most well-known album and their first major record label release in America. It features re-recordings of earlier material and also new material such as ‘I Am A Cat’ and ‘Black Bass’. The debate on whether the original versions or re-recordings are better rages on even today. As the title suggests, Shonen Knife explore a more rock-orientated direction for this release particularly for songs such as ‘Tomato Head’ and the classic ‘Cobra Versus Mongoose’. Softer territory is covered by ‘Another Day’ and the poppy ‘Catnip Dreams’. Sonic Youth guitarist Thurston Moore guests on ‘Butterfly Boy’. Shonen Knife swing back to their classic pop-punk sound for this release with the emphasis on pop, particularly for the jangly guitar sounds of ‘E.S.P’. and the 60s-tinged ‘Wonder Wine’. Includes the Michie-penned ‘Frogphobia’ (she really doesn’t like frogs…). The original Japanese release features a mix of Japanese and English lyrics on some songs. The US release features English lyrics on all songs. This was the last album to feature the original lineup with the departure of bassist Michie Nakatani. The album features a cover version of The Monkees’ classic ‘Daydream Believer’ but also the brilliant ‘Banana Chips’. The backing vocals on ‘Sushi Bar Song’ are by The Presidents Of The United States Of America. The cover artwork is by noted artist Yoshitomo Nara. The new lineup of Shonen Knife featured Atsuko Yamano switching to bass and Mana Nishiura joined on drums. 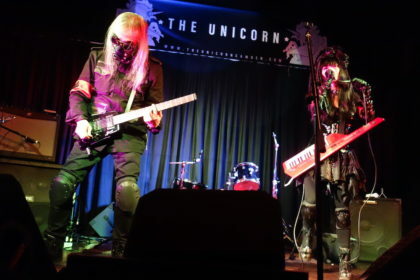 Strawberry Sound features a curious weave not only of classic garage punk songs, but also Shonen Knife playing with Electropop on tracks such as ‘Chinese Disco’ and ‘Synthesizer’. Cover art is by Rodney Alan Greenblat (better known for his sleeve art for Puffy). This release marked Shonen Knife’s first US release on American label Confidential Recordings. Interestingly, artist Rodney Alan Greenblat (who had produced sleeve art for previous release Strawberry Sound) was also commissioned to do sleeve art for other releases on the Confidential label, yet wasn’t signed on for the Heavy Songs artwork. ‘Golden Years of Rock ‘N’ Roll’ is a fine tune straight from the Shonen Knife template while ‘Rubber Band’ is a perfect combination of garage punk and catchy melodies. Meanwhile, ‘Heavy Song’ is Shonen Knife in a more subdued mood. Features a tribute to George Harrison in the shape of ‘Mango Juice’. Candy Rock is one of the few Shonen Knife albums not to get a US release and features Japanese lyrics on all songs. The album shows the band leaning back towards their more stripped-down punk approach. Featuring a sleeve design created by Naoko’s young daughter, Genki Shock! manages to tick all the correct Shonen Knife boxes, particularly the ability to write about mundane everyday things (spiders, spam emails, blue jeans) in a way that lends their own particular charm to the topic at hand. ‘Under My Pillow’ shows that Shonen Knife can show off a more reflective side to their sound. Atsuko had departed the band in 2006. 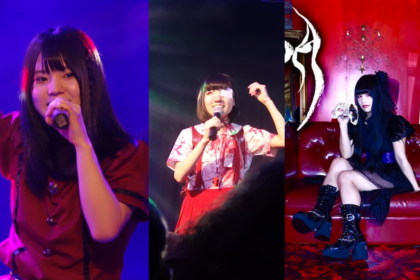 Meanwhile, Etsuko Nakanishi became the band’s official drummer. This release marked the 25th Anniversary of the band. A reissue with English lyrics for the songs was issued in 2009 (while the band were on a European tour). With a solid opening track ‘Gravity Zero Gravity’ the album also has a tribute to The Ramones in the shape of Ramones ‘Forever’ while ‘Birthday’ is a surprising change of approach with its subdued organ-led melody. Bassist Ritsuko Taneda (who had performed with the band on tour) became a full-time member of the band in 2007, the same year Super Group was released in Japan. The album was subsequently reissued in the US in 2009. The band then signed with UK label Damnably and Super Group was released in the UK in 2010. The album touches on the more heavy duty sound that the band had previously looked at for Free Time. Features a surprisingly good cover of the Wings’ song Jet. Shonen Knife opted for a heavier sound on this album which features some fine moments, such as the energetic Perfect Freedom, the witty ‘Rock ‘n’ Roll Cake’ and the wistful ‘An Old Stationary Shop’. Bonus points for ‘Capybara’ which shows the girls doing some fine harmonics. The artwork for the European release is very different from the original release. Having cited The Ramones as an influence from their initial formation, this long-awaited tribute album from Shonen Knife (under their Osaka Ramones guise) was well overdue. This release was originally intended to be a mini-album with five songs recorded in New York. However, with the imminent 30th Anniversary of Shonen Knife on the way a decision was taken to expand the release to a full length album. As a result, the rest of the album was recorded in Osaka. Cover versions can be a mixed bag at times, but the combination of Shonen Knife’s dedication to capturing The Ramone’s particular brand of pop punk and Naoko’s unique vocal style produces some real winners here. ‘Blitzkrieg Bop’, ‘Sheena Is A Punk Rocker’ and ‘The KKK Took My Baby Away’ being particular standout moments. Shonen Knife’s last studio album demonstrates a band that can still deliver tunes 30 years on from their initial release. 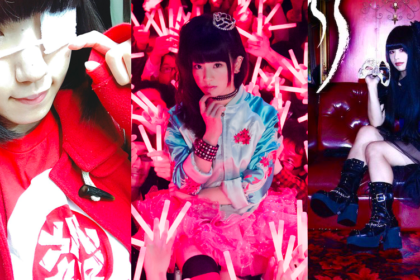 As mentioned in the J-Pop Go review, there’s a simplicity in the construction of their tunes that’s the key to their longevity. 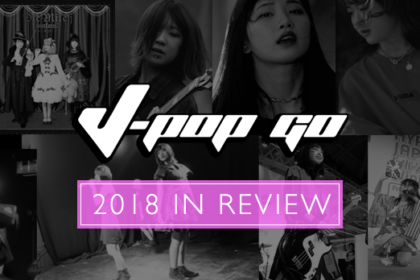 For Pop Tune that comes in the form of 10 songs produced by Naoko and manager Atsushi which leans back to the classic Shonen Knife balance of punk-informed pop, rather than the traditional rock approach that previous album Free Time employed. The album also delivers some nice surprises, such as ‘Sunshine’ which shows Shonen Knife step down a gear for a wonderful slice of wistful pop featuring bassist Ritsuko on vocals. 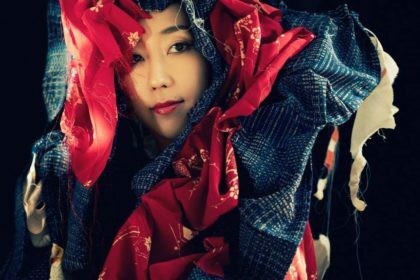 Drummer Emi also gets her chance to take stage centre on ‘Psychedelic Life’, demonstrating a very strong vocal on a tune that eschews the punk guitars for a song that nods towards the 60s bands that originally influenced Shonen Knife. Pop Tune is out on Damnably and is available from Amazon and also via iTunes. Shonen Knife’s new album Overdrive is due for release on 14th April 2014.